A critical review of the harms and benefits of television that also examines systems for maximizing television's benefits. The author breaks away from the conventional jargon of audience measurement and other traditional research methods, proposing instead new and alternative European and Australian methods of evaluating programming. Typical characterizations of the television screen – broadly defined to include television, home video, movies, games, programs and computers – as either the root of all social ills or the potential savior of society are reexamined. 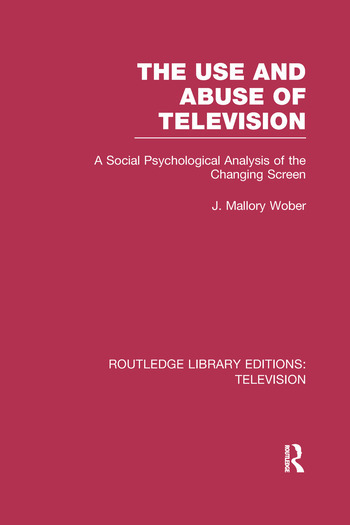 Wober's ultimately optimistic viewpoint seeks to trigger change in the way we think about and assess television and in turn ensure that screens will serve, rather than take advantage of, their users. Originally published in 1988, this thinking-piece concerns timeless issues still of import.